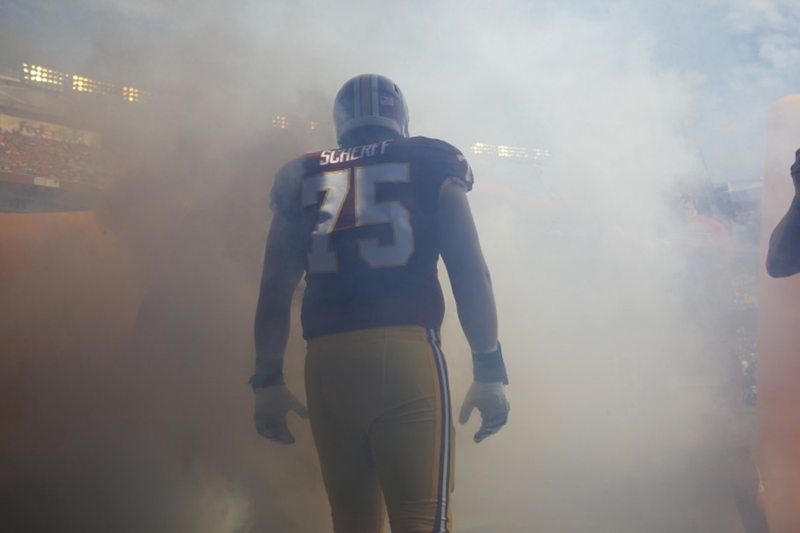 From Ben Standig's article "Three and out: Scherff, injuries, bad pennies"
Quick thought on Brandon Scherff's NFL debut, another round of injuries and the real hurt coming from two lagging veterans. LANDOVER -- Many things took place in the Washington Redskins' 17-10 loss Sunday afternoon to the Miami Dolphins. Initial postgame thoughts on three of them. For perhaps the first time in my life, I'm genuinely excited to rewatch the game specifically for the right guard. Based on the initial eye test and postgame reaction, rookie Brandon Scherff more than passed the immense test of facing Dolphins Pro Bowl defensive tackle Ndamukong Suh. Scherff and tackle Morgan Moses were the biggest uncertainties entering the season opener. The pair held their own on right side of the offensive line. Washington's running game gashed Miami in the first half and the offensive line largely gave quarterback Kirk Cousins a clean pocket to work from. "I think for the most part, Morgan and Brandon, in their first game together, I'm happy the way they played," coach Jay Gruden said. Build a strong offensive line and in most cases, the other pieces on offense improve. Curious what our film analyst Paul Conner thinks off Scherff after looking at the tape. Seems like a solid first step.